ARTHUR LIPOW & AUTHORITARIAN SOCIALISM IN AMERICA: EDWARD BELLAMY AND THE NATIONALIST MOVEMENT. The Parable of the Water Tank by Edward Bellamy the American Hitler and American Nazism. 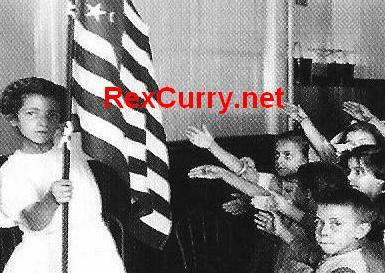 The common claim that it was a Roman salute is a myth exposed at the same web site. Even in 1964 there was in circulation a pamphlet titled "Seeking a Socially Just World." In it was a story: "The Parable of the Water Carrier." It was about Edward Bellamy's "Parable of the Water Tank" (1897) which is, of course, a simplified Marxist critique of economic freedom. The book could use some updating about new discoveries. American socialists (e.g. Edward Bellamy and Francis Bellamy teamed with the Theosophical Society) also bear some blame for the notorious symbol used by the National Socialist German Workers Party. The same symbol was used by the Theosophical Society during the time when the Bellamys worked with the group. The symbol was used as alphabetical symbolism for socialism, and adopted later by German socialists as their flag symbol. 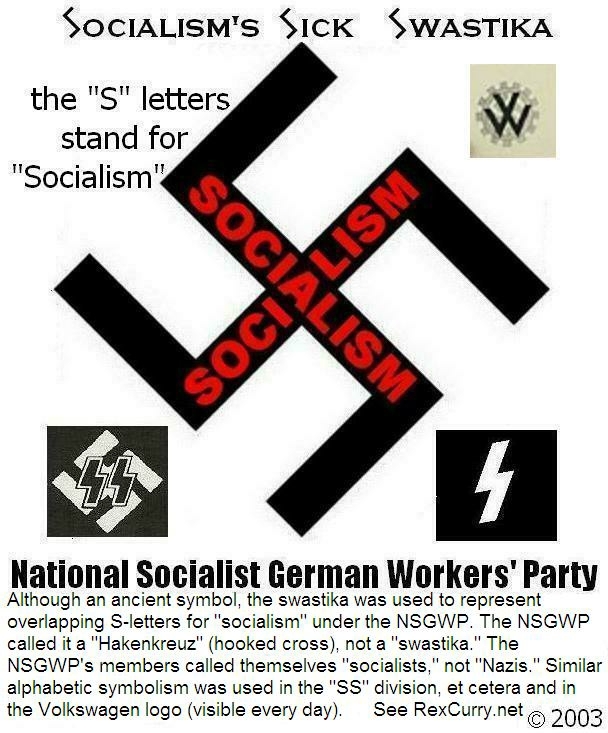 Although an ancient symbol, was altered for use as overlapping S-letters for 'socialism.' It was deliberately turned 45 degrees counter clockwise and always oriented in the S-direction. Similar alphabetic symbolism is still visible as Volkswagen VW logos. 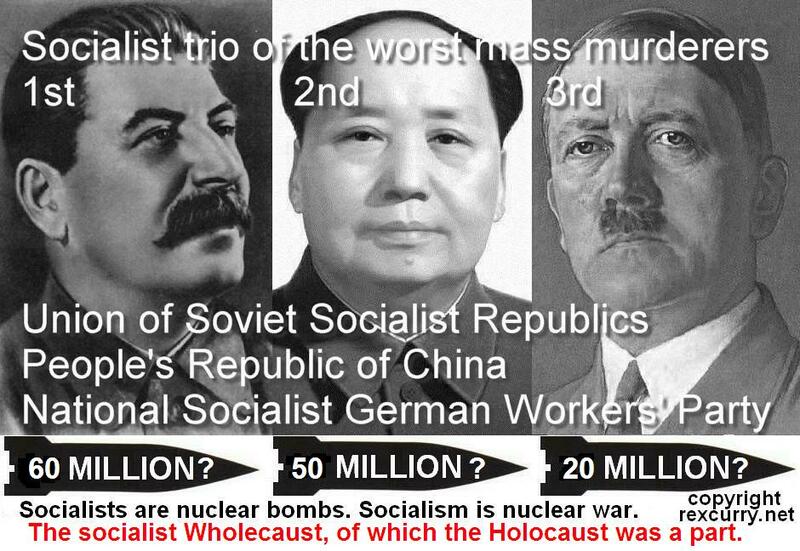 American Socialists also created the stiff-arm salute of German socialism. 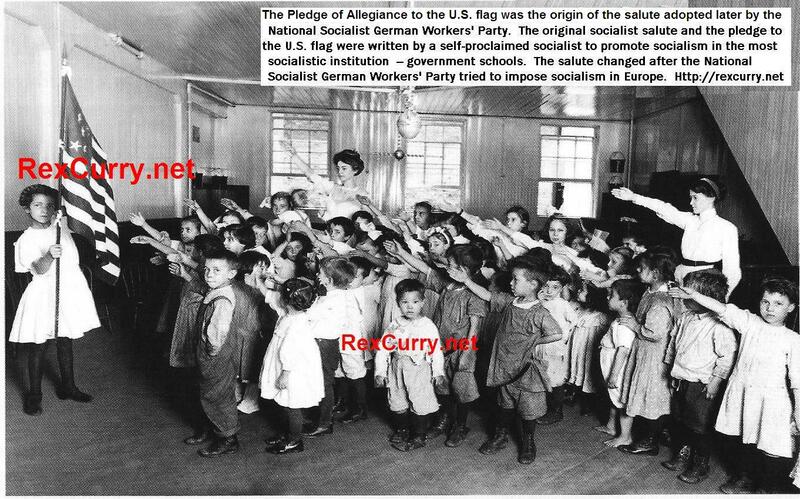 The early Pledge of Allegiance (created by Francis Bellamy in 1892) was the origin of the straight arm salute adopted decades later by German National Socialists. The early pledge salute was not the modern hand over the heart. The Theosophical Society (and Freemason groups - Francis Bellamy was a member) helped spread America's stiff arm salute at their meetings. Edward Bellamy's book "Looking Backward" was an international bestseller that launched the nationalism movement worldwide. Edward's book was translated into every major language, including German. They wanted government to take over all schools and impose robotic chanting to flags. The Pledge's early right-arm salute was not an ancient Roman salute, and the 'ancient Roman salute' myth came from the Pledge. All of the above are modern discoveries by America's leading authority on the Pledge of Allegiance, the noted historian Dr. Rex Curry (author of "Pledge of Allegiance Secrets"). People were persecuted for refusing to perform robotic chanting to the national flag at the same time in the USA and Germany (to the American flag, and to the German symbol flag).